I have some problems with sitemaker and sitemaker content. Aviary Image editor API key / File Manager Setting. I have only 1, 3, 4. Many thanks for the brilliant extension. Even in the RC stage, it's already usable with minor quirks! Are you planning to integrate it with ABBC3? Not sure this qualifies as a defect, but right now ABBC3 creates its own "abbc3-buttons" tab on the posting page, in addition to the standard "format-buttons" tab. abbc3-buttons then tries to load its icons from the root folder of the domain, for example https://www.mydomain.net/quote.gif 404 (Not Found). The forum itself is in a subfolder, i.e. www.mydomain.net/forum. Hi, why is the extension asking for Slugify? I can't seem to post, I can preview content but when I submit for it to post, I get a white 500 error page. I believe there is an issue with the pagination module. As soon as the number of comments exceeds the Number of items per page, a new page is created and the warnings disappear. 2. Assuming that the Show pagination setting is supposed to enable/disable the breakdown of comments into pages according to the Number of items per page, this setting does not work. Regardless of Show pagination = Yes or No, when the number of comments exceeds the Number of items per page, a second page is created. I fixed the Slugify issue. I had the wrong wizard hat on, apparently. oddly enough, there is no detail.php in phpbb3 software that I know of. I'm assuming it should be redirected back to index.php?i=-blitze-content-detail-content_module&mode=content instead. This does not happen editing an article from the UCP though. Bit of an improvement from the 3 lines of errors in 3.2.2 I've not tested pagination yet. Also, on index when I set a recent article (block) in settings, Max Characters to display does not work and instead the full blown article is shown on the block regardless of using layout0, layout1 or layout2. No issues in content/articles directory as far as max chars though. Great ext thank you sir! I do have an issue I just realized recently even though I have had installed for a year. I always wondered why I could no figure out how to do a few of the things listed as options. I updated to 3.2.3 this week and also updated the sitemaker extension but you now have a full demo and screen shots I did not see before. In my ACP I only have one option "menu" the other 3 are not there. Any thought on how to correct this? I have figured most of this out from github but I am still unable to see the settings module under the sitemaker ext. Having issues with the category extension but can fix that later. I spent hours working on this same issues only had even less showing. The Sitemaker Ext will only have the Menu and Settings modules even this I found is not always true. I was working from an account with full admin but found that by default use of the settings mod is limited to Founder status only. You either need to be a founder or have one change the permissions if you're not. I'm personally still having issues with these two ext specifically the categories so decided to uninstall till they are more stable. I also wish there was more how-to out there somewhere. If I ever do get them installed and working correct I plan on making a couple videos for others. 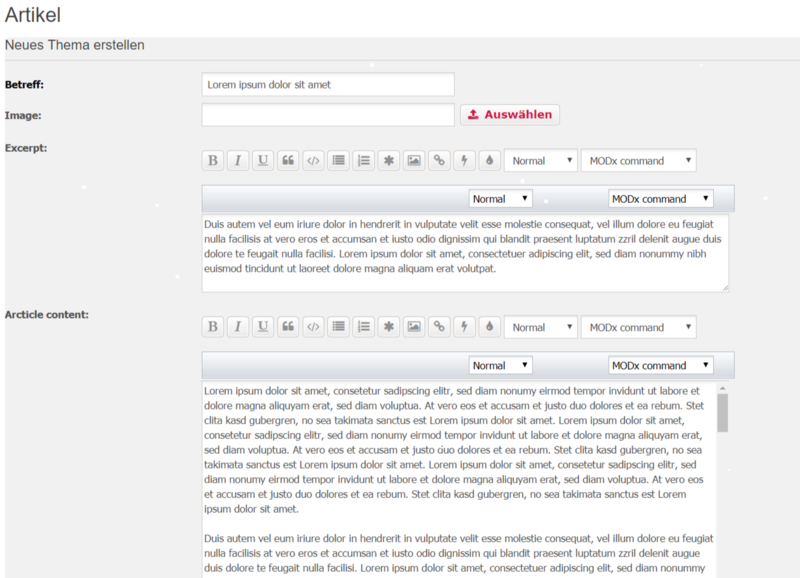 At the moment without "Sitemaker Content", but with "Sitemaker" and "phpbb Pages". I am not a coder but do grasp most concepts so fully understanding the error is above me but if explained I can usually fix. Another small issues is even when an item has been read or vied it still appears in the "unread posts" list it has to e removed from the notification list to not appear again. Thank you for all the awesome extensions you have created! Any progress on this great extension? If I want to post the article, I get a white 500 error page. I'm still getting redirected to a details.php page after a post for whatever reason.